Cryptocurrency, regardless of the name brand, is a currency that is stored and traded via software. When you “trade crypto”, you use a software platform to access the market, facilitate your trade and record the transaction. Cryptocurrencies differ from fiat currencies (the dollars and coins you have in your pocket or purse), due to the storage methods used and the decentralized blockchain technology backing all transactions. Some online payment processors already accept Bitcoin as a payment method. Cryptocurrency can also be exchanged for fiat currency on a variety of reputable platforms. Cryptocurrency has a distinct vocabulary and glossary; understanding the different terms can help you fully comprehend the process. Exchanges: Websites that facilitate buying and selling cryptocurrency. Bots: Software programs that support the trading of cryptocurrency by providing targeted information and details that facilitate the trading process. Indicators: Used by advanced trading bots to follow and interpret trading signifiers and create a trade at the right time. Safeties: A signal for your trading bot to buy or sell based on user-defined thresholds or percentages. Insurance: Protects your investment when you set up a trade bot and determines when execution is needed. Wallet: A digital wallet securely stores your currency, just like your physical wallet stores your cash and credit cards. Your wallet can be stored online or be a physical item that you download your records to and keep in a secure area. The easiest way to begin trading cryptocurrency is to join one of the major exchanges (Coinbase for example). These allow you to exchange fiat currency (E.g. USD) for your choice of cryptocurrency (E.g. Bitcoin). Be prepared to hand over some personal details; opening an account at a legitimate exchange is like opening a bank account in many ways. You’ll also need to securely store your credentials. Most exchanges require two-factor authentication, so have your mobile phone handy as well. It is worth noting that each exchange will support different cryptocurrencies and have differing fee structures for executing trades. It is worthwhile to explore the differences between each exchange. Which platforms and tools are best for trading – and how can you spot and track the right trades or situations at the right time? From which coins to buy to employing bots to track and trade on your behalf, here’s what to know before you trade. 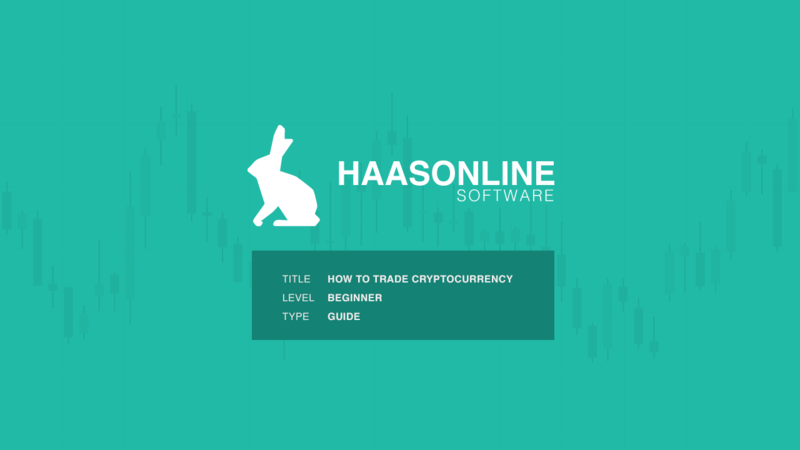 Learning how to start cryptocurrency trading includes learning these key tools and techniques, from platforms to coins and bots. Types of Coins for Trading: Different cryptocurrencies have different appeal and value, and that value can change fast. The most well-known cryptocurrency is Bitcoin, but traders have many other options to choose from. Part of trading is deciding which currency is right for you. Since each is structured differently, you may find one more appealing than others. Trading – manually or with bots: Most traders make their initial purchases manually, merely because they follow the directions on whatever exchange they start with. Once you have built up some knowledge and experience and have become more confident, you may choose to set up a basic bot that trades and tracks information automatically. Since this automated robot will be able to find, assess, and share targeted information very quickly, you can get the details you need to trade, without having to sift through a lot of unrelated details. Bots for all levels: It’s easy to get hooked on using bots – and the good news is, you do not have to outgrow them as you learn. While a basic bot can be employed to set up trades, more experienced cryptocurrency investors and traders use bots to grow their trade strategy and discover new ways to invest. When you want to know how your stocks are doing, you view the ticker tape or consult the stock pages. When you want to know how your trades are doing, you consult an exchange, or if you are using them, your bots. You’ll be able to track multiple transactions and make real-time decisions simply by tracking trends and setting your own preferences. Blockchain, and by extension cryptocurrency, was once considered “unhackable”. While that is no longer the case, the decentralized nature of crypto ledgers makes them incredibly difficult to hack. What is far more common is the loss of funds due to scams, the loss of an account due to a hacker, or the loss of a physically stored wallet. Maintaining proper security measures online is always important, but if you are getting started with cryptocurrency, it is essential. You’ll need to safely store passwords – anyone with your passwords or keys can become the owner of your accounts. You’ll also need to stick to secure channels for trading – send someone cryptocurrency to buy something and you may never see your money or your item. Unfortunately there is often very little recourse in these situations. Fortunately, by taking some simple measures to protect your own assets and network, you can be confident your funds are safe. As with any investment, there are risks, but when you find a trading strategy that is appealing and generates the required results, you can begin to expand and scale up your strategy to increase your yield and level of involvement. Learning more about what cryptocurrency is and how it works can help you decide if getting involved in trading is right for you. Whether you are a beginner or have been investing in cryptocurrency for awhile, the right tools and a full understanding of the process can help you make the most of your time and money. Bots are a great way to make trades, and you can learn more about all of the different types and features here. Win a 3 month Advanced License by following us on twitter and retweeting this tweet.